Never Have to Worry about a Creeper Again! It is lighter, and compact version of the original Bone creeper. With 1-1/4 inch above the ground, it gives you the easy access to underneath a car. 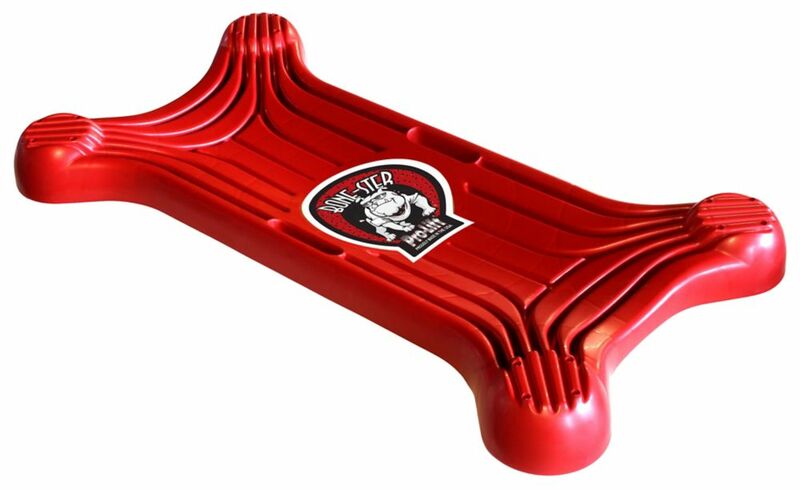 With the patented "dog bone" shape, it is a proven design that is more durable, more comfortable, less likely to tip over and easier to work on. The C-4031 Bone-ster Creeper is smooth, comfortable, easy to clean, resistant to gasoline, oil and almost all other common solvents, and is covered by a limited one year warranty. The deep, smoothly moulded structural ribs add incredible strength and durability without adding bulk and weight, which provides welcome ventilation for those hot muggy days. The Bone-ster Mechanic's Creeper Never Have to Worry about a Creeper Again! It is lighter, and compact version of the original Bone creeper. With 1-1/4 inch above the ground, it gives you the easy access to underneath a car. With the patented "dog bone" shape, it is a proven design that is more durable, more comfortable, less likely to tip over and easier to work on. The C-4031 Bone-ster Creeper is smooth, comfortable, easy to clean, resistant to gasoline, oil and almost all other common solvents, and is covered by a limited one year warranty. The deep, smoothly moulded structural ribs add incredible strength and durability without adding bulk and weight, which provides welcome ventilation for those hot muggy days.